Singapore’s poster boy for sports is coming good. So the efforts to have Joseph Schooling skip his national service to concentrate on his career as an athlete might be coming to fruition. 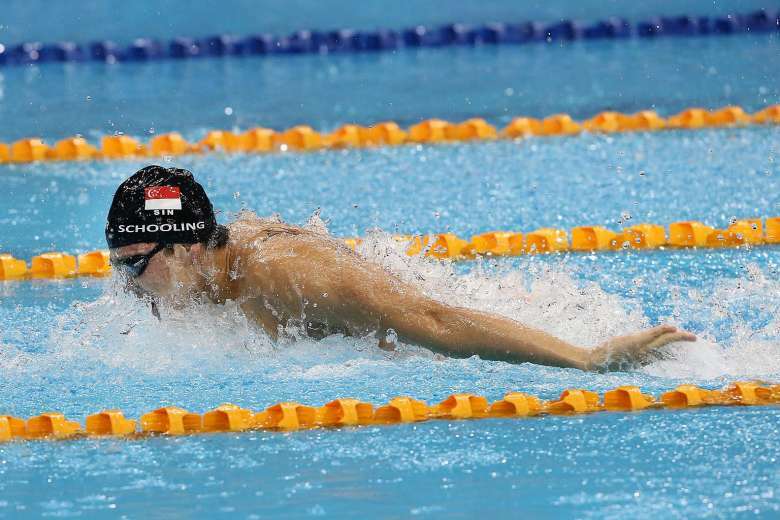 The young swimmer showed great promise and talent in the pool from an early age and was ear marked to be the face of Singapore sports. Joseph Schooling took a leap and traded the local pools for a shot at sporting excellency in USA. Schooling set a new NCAA record for the 200-yard butterfly. Quite a mean feat, shaving the previous record by more than one and a half minute. Schooling recorded a time of 1min 37.97sec while his team-mate Jack Conger was second in 1:38.06, with Andrew Seliskar from the University of Californa, Berkeley rounding up the podium in third with 1:39.95. The Singaporean had to produce a strong final 50 yards to overtake Conger, who had led from the start to the 150-yard turn. With the 200-yard fly gold, the 20-year-old finished with five golds (100- and 200-yard fly, 200- and 800-yard free relay, and 400-yard medley relay), a silver (400-yard free relay) and a bronze (200-yard medley relay) at the championships. There were some that felt that Schooling should have completed his national service like every other Singaporean Son. His circumstances however were a little unique and it was felt that the two years out of the pool would have taken away his edge over the competition. If Schooling does prove a success it could set a precedence for those that come after him, making him a pioneer in a bid to push Singapore towards alternate routes of excellence. I personally think that he swim and flying our flag high/brining glory to our country is also kind of service to our nation. Not only Joseph Schooling but to other potential athletes too.